This might be a surprise to all, but hair straightening is not that new and it goes way back around the beginning of the 1900. The straightening involves the flattening and straightening of your hair in order to become softer, shinier and with a sleek appearance. It was somewhere around the 1950’s when the hair straightening became very popular among the black men and women. There are several ways to make your hair straight and silky, from using a hot comb or a hair iron, chemical relaxers to the specialized Japanese and Brazilian hair straightening or the blow dryer styling. Nowadays, some shampoos, conditioners and hair give your hair a temporary straight appearance. As much as we’d love a curly, full of personality wavy hair, there’s no doubt that no one can resist to the silky, soft and flowing appearance of the straight hair. And, we’re pretty much sure that all of you out there with curls have dreamed, at least for once, to have a nice, sleek hair. To be fair, it’s almost certain that straight hair is like a default hairstyle for women these days. 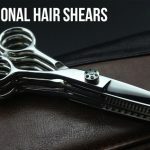 If you have curls and you have tried once the straight hair, it’s almost sure that you probably liked it so much that you want to do it again. You can always go to the salon and never bother about the details on how you can get the straight look. But, you can’t really do that on regular basis as it gets quite pricey at some point. You could use more often the flat iron, but this may ruin for good your hair, no matter how much protection you use for your hair. 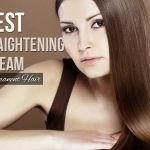 The low priced and reliable solution is the hair straightening cream which is efficient like a flat iron, but not as damaging as a heat tool. You can sure get a temporary sleek appearance for your hair faster than before. You can’t just buy a hair straightening cream, put it on your hair and call it a job. You need to clean your hair, first and you should never use the hair cream on unwashed hair. use your regular shampoo and wash your hair thoroughly and seek that it doesn’t remain in your hair. if this is first for you, you can apply a little bit of cream on one hair strand. It that strand changes the colors or breaks, the cream doesn’t fit your hair and you should get another one. You do need patience when using the hair straightening cream and the next step is to section your hair. Nape of the neck and part your hair horizontally into upper and lower layer. You have to divide the two layers into four other sections. Get some help from pins or small clutches to hold the sections. To keep things safe and sound, it’s always a wise thing to use gloves when you apply the cream. Use a brush or your fingers to apply the cream on downward of your hair. never touch your scalp with the cream and use a wide toothed comb in the end. You get a perfect finish when you comb your hair from upward to the end. When it comes to the process, you need to give the cream to work somewhere around 10 to 30 minutes. You can wash your hair afterwards, deeply and seek that no cream remains in your hair. In most cases, a blow dry is sufficient, but some recommend a flat iron for a professional finish. No matter how often you use the hair straightening cream, you need to oil your hair daily as you don’t want to end up with a brittle structure. Even best hair straightening cream reviews tell you how you should wash your hair thoroughly before you apply the cream and try not to it too often. Use a wide tooth comb to detangle your hair and read instructions carefully. 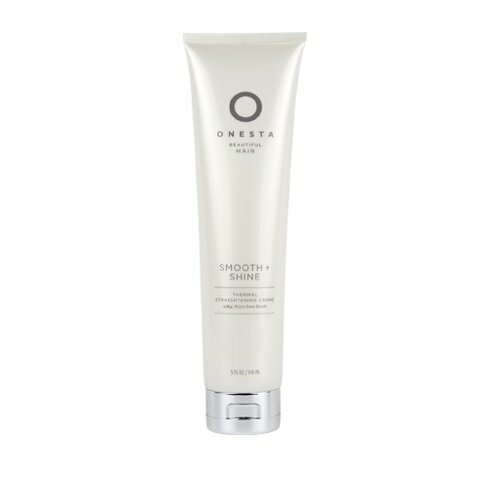 If you are on your first try with straightening your hair and want to play it on the safe side, give it a go with an organic hair straightening cream like the Onesta Smooth Plus Shine Thermal Straightening Crème. The organic cream fits all hair types and makes your hair straight when using the blow-dry and the flat iron method. The hair straightening cream puts the frizz at ease and manages the flyaway of your hair. the cream also provides natural UV and thermal protection so you can safely use the heat tools. The cream is also humidity resistant and gives your hair elasticity and easiness when styling it. The cream is full of antioxidants and botanical extracts that nourish and boost up the health of your hair. The hair cream is lightweight and adds shine to your hair. It wears a nice, subtle citrus smell also. All in all, for the money you pay, you get an organic cream that not only helps with the straightening of your hair, but also makes it shiny, soft and flexible. Even though it doesn’t contain many natural ingredients, the L’Oréal Smooth Intense Xtreme Straight Crème is a great option to make your hair straight and frizz free. The oleo keratin straightening cream is able to go deep into the structure of your hair in order to tame it and give it a sleek appearance. The cream is also able to nourish your hair and you can use the heat tools up to 450F of heat afterwards. The cream doesn’t give permanent results, but you can have three whole days until you need to do it again. There’s no need to worry about the fragrance of the cream as it wears a nice, subtle perfume that fades away fast. Your hair doesn’t remain greasy and doesn’t lose its full body either. 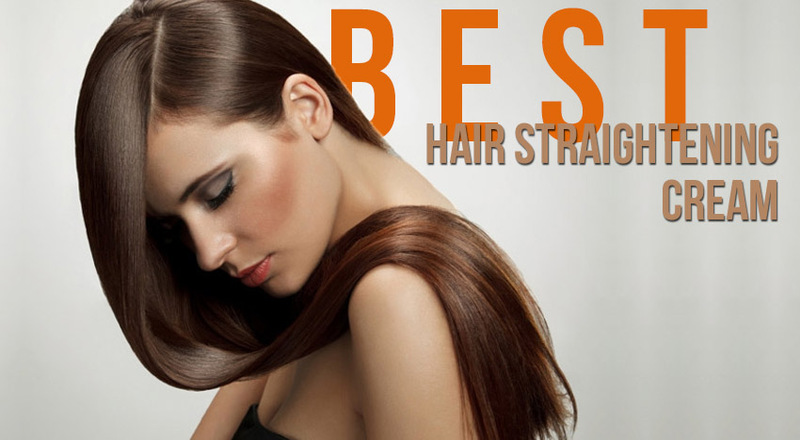 Your hair gets softer, smoother and straighter. A little goes a long way and the cream gets you through several weeks. if you want to get the best out of the cream, you should only use a bit of it right after your shampooed and conditioned your hair. it’s better to blow-dry the hair afterwards. Try to get an even apply of the cream and never rinse the cream in the end. 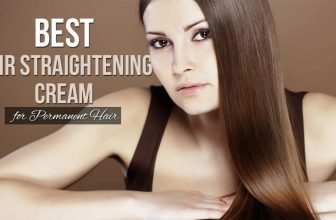 Fairly priced and efficient, the straightening cream is a good solution for many out there. If you want your hair become straight for more than a couple of days, take a leap of faith and give it a try with the Cure One Step Japanese Magic Hair Straightening Treatment Straight Cream. The cream is easy to apply and makes your hair straight, shiny and smooth for a very long time. It might even take 6 months until you have to do it again. It takes you around two hours to get the job done and enjoy the results. The cream contains natural oils and extracts that minimize the damage on your hair. Your hair gets a sleek look with minimal risk for breakage or dry ends. Unlike the most of the hair straightening creams out there, the Cure One Step doesn’t need to be followed up by a neutralizer so your hair gets straight in just phase. The hair doesn’t get just a soft, silky look, but it also gets nourished and lustrous thanks to the essential oils and extracts within the cream. The cream may be used for all hair types, including the colored and highlighted hair. it doesn’t damage your hair and your hair becomes soft and shiny. The tangle is gone and you don’t have to worry about the difficulty of managing your hair. As the cons are minor issues, we consider the cream to be a reliable option, fairly priced for the quality it brings. For the customer that is willing to pay the extra buck in order to get the best treatment for the hair, a reliable and efficient hair straightening cream is the Milbon High Position H 800ml Hair straightener cream. The hair straightening cream is created for the thick, strong hair and doesn’t damage your hair either. The cream is also easy to apply and you only need 30 minutes to get the straightening done. The hair straightening cream goes deep into your hair and not only changes its texture, but it also nourishes it. Your hair gets a sleek appearance, without any damaging to its health. It gets a silky, yet natural look. As for the cons, we only need to mention the cream is for the professional use and shouldn’t be used at home or by unexperienced customers. Other than that, for the results it gives, the cream is a good investment anytime. The natural hair (normal strength) may get the best out of the L’Oréal Paris X-tenso Moisturist Hair Straightener Set for Natural Hair. The hair straightening cream makes your hair straight, nice and shiny for almost two months. The frizzy is gone and the curls are put under control. The hair is not damaged and remains healthy even when using the cream. The cream gives a sleek, yet natural appearance to your hair after apply. You can actually choose how smooth you want your hair to be, depending on the level you want. In order to play it on the safe side, always go 1-2cm above hair roots and use intermediate water to rinse it entirely, insisting on the roots. Apply the neutralizer for 30 minutes or so and wash it away completely afterwards. Don’t leave the process unfinished so that you don’t ruin your hair. Despite the minor issues, the hair straightening cream brings great results and is reliable in most cases. When you sit on a fence and can’t really decide if you want to spend the extra buck for the high end cream or settle for the lower price, take a deep breath and do neither. You can pay a fair price for a straightening cream that gives you better performance than the low priced cream, but isn’t expensive as the high end one. A good example for this category is the Matrix Opti Straight Japanese Hair Straightening Cream Resistant that comes along with a neutralizer. You may use the cream by cold smoothing or together with a straightening iron/blow dryer. Your hair becomes soft, straight with a sleek appearance for quite some time. as good as the results may be when using the cold smoothing cream, the best results are obtained when you use a flat iron or a blow dryer. The hair straightening cream is strong and gives great results on thick, course, colored hair. The normal and African American hair also benefit from the cream and the kit is created for the iconic technology. Your hair gets easier to manage and is put under control. It gets sleek, shiny and frizz-free. The cream is rather gentle on your hair, as long as you do it right. It wears a nice, subtle fragrance of Asian Tea that hides the ammonia odor. Your hair ends up smelling rather nice also. The cream makes your hair smooth, but it gives your hair a good body also. The hair doesn’t look flat at all. In order to keep it safe, it’s wiser not to dye your hair sooner than a few days after you straighten your hair. Some developed eczema in the scalp right after using the cream. All in all, for a fair price, you get an efficient straightening cream that makes your hair straight, shiny and soft for a long time. If your budget is quite tight and you still want to make your hair straight, the Ogilvie Straightener for All Hair Types sure is a pretty good option. The hair straightening cream addresses all hair types and makes your hair straight, shiny and soft for a couple of months. 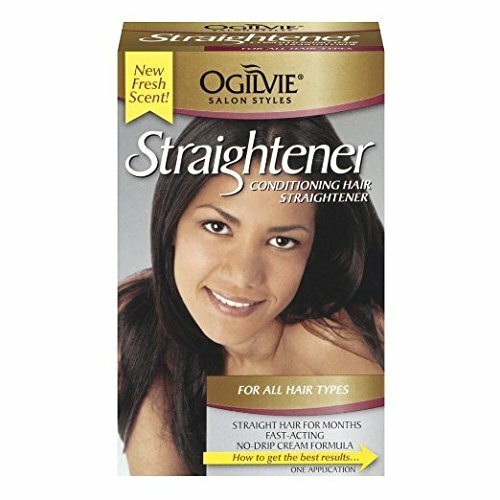 The Ogilvie Straightener makes your hair smooth, straight and easy to style. The hair is tamed, frizz-free and the waves are put under control. The cream is rather easy to use and it straightens your hair for a long time. It wears a nice smell and it’s not aggressive to your hair. In order to keep it safe, you should avoid the cream if your hair has been highlighted, frosted, bleached or color-treated. If you used relaxers based on lye or guanine carbonate, you should also avoid the cream. All in all, for the little money you pay, you get a reliable and pretty efficient hair straightener for your hair. When you have curly hair, you need to take a break at least from time to time, just to enjoy the freedom you get when you don’t worry about your challenging hair. The Hair Rebinding straightening / straightener cream KIT is a good and efficient solution and manages to give you what you’ve always wanted: a bit of control over your stubborn curls. The kit addresses the very curly hair and the frizzy hair at the same time. If you follow carefully all the steps, your hair gets soft, smooth, shiny and silky. It becomes straight, soft and easy to manage. The kit is designed for rebounding and straightening your hair. The cream contains keratin protein to put some balance in the protein loss and in order to give a healthy boost to your soon to be gone curls. The cream also protects from heat and nourishes your curly hair. your hair detangles and becomes easier to comb also. 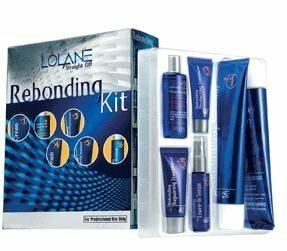 The rebounding repairing treatment, along with the leave in serum, give a healthy and nice luster to your hair. The kit contains several products and the explanatory instructions that make the apply easy to follow and to do. But, if you are determined to put at ease your beloved curls for a while, this cream is definitely a go for. Just because it contains only natural ingredients, it doesn’t mean that a natural hair straightening cream isn’t able to give great and permanents results either. It’s the case of Korean Cosmetic Chinese Herbal Straightening Cream DIY Permanent Magic Straight that, despite the lack of chemical ingredients, manages to be strong and efficient just like any other hair straightening over the counter cream. The cream contains Chinese Herb extracts and makes your hair straight and silky for a very long time. The kit is rather easy to use and you can definitely do it at home on your own. The cream contains dried root of Rehmannia glutinosa extract, Japanese cornel and Poria Cocos and various Chinese herb extracts. All of these natural ingredients not only make your hair straight and work on its texture, but they also give great benefits for the health of your hair. Your hair gets nourished and the damage is minimized. Furthermore, the tangling disappears and so are the split ends. The hair is not only sleek and shiny, but also gets a healthy appearance. The kit contains the cream, the finish cream, the hair ample and the Herbal Essence pouch. For the best results, it’s wiser to also use the Herbal Essence and Ample to better protect your hair. Apart from the subtle herbal smell, we have no cons related to the cream. If you are determined to use a natural hair straightening cream that gives permanent results, in a natural way, this is a great buy anytime. The Nutree Professional Amazonliss Brazilian Keratin Hair Straightening/Smoothing Treatment Kit offers a great solution to the dedicated customer that is willing to do it all the way and have the patience for getting the best results. 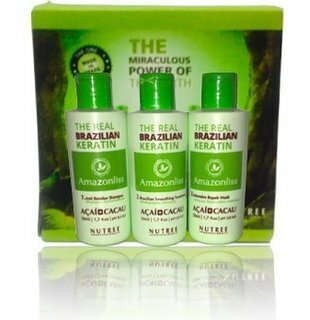 The kit is a treatment that puts your dry frizzy hair under controls thanks to the Hydrolyzed Keratin and Antioxidant abilities of Acai and Cocoa, the main ingredients within. These natural ingredients go deep into the cuticle and rebuild its structure, while hydrating and restoring the damaged dry hair. the hair becomes smoother, brighter, straighter and gets the moisturize it needs altogether. The kit contains everything you need to straighten your hair, Brazilian way. The kit brings smoothness, discipline to your hair and keeps fizziness at distance also. The results are instant and your only need to give 90 minutes for the whole treatment to apply and see the results. All in all, as it doesn’t just straighten and make your hair silky and smooth, but it also hydrates and moisturize it, the kit is a good option when in need.